Returning for its fourth edition, Dubai Design Week is back this November for its biggest event yet as the occasion continues to grow, cementing Dubai as the design capital of the Middle East. 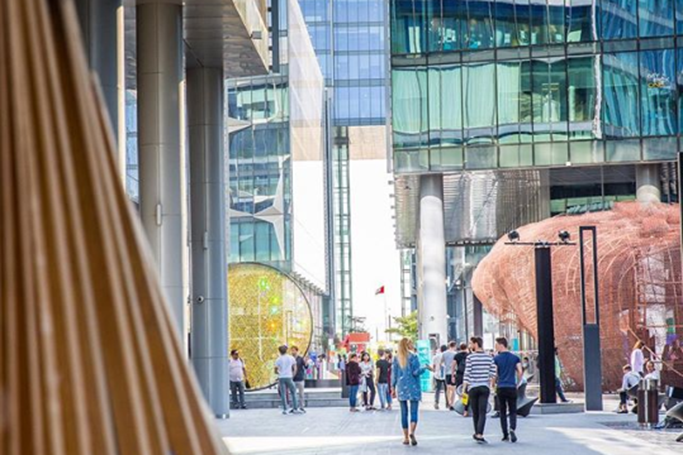 The 2018 edition of the region’s largest creative festival will comprise of more than 230 events throughout the Dubai Design District (d3) and across the city during the free-to-attend programme. Over 120 creative institutes will take part in the event that will be an exciting meeting point for the global design community. From exhibitions to commissioned installations, competitions, talks, tours and unique experiences –there will be something for every visitor and design enthusiast. There’s even the launch of the Dubai Design Week app to create your own personalised schedule with must-see exhibits and launches tailored to your taste. As a platform to nurture and enable the region’s design scene, Dubai Design Week will continue to showcase talent in the region, as last year’s event attracted 60,000 visitors. This year’s highly anticipated event takes place from 12th to 17th November, so save the dates! Coinciding with the event this year is the official opening of the Jameel Arts Centre, Dubai’s first contemporary arts museum, as well as the inaugural Fikra Graphic Design Biennial in Sharjah which is the first of its kind in the region. That’s not all –there will further be a range of activities staged at Dubai’s arts hub, Alserkal Avenue, which reinforces November as the annual focal point for design and creativity in Dubai. Dubai Design Week is held under the patronage of Her Highness Sheikha Latifa bint Mohammed bin Rashid Al Maktoum, Vice-Chairman of the Dubai Culture & Arts Authority, and in partnership with Dubai Design District (d3) and supported by Dubai Culture & Arts Authority. Dubai Design Week is from 12th to 17th November 2018.